Executive Coaching with Happening People is a perfect option if you have limited time, or confidential plans and challenges and want to take control of your performance. So if you have any areas of your professional life where you’re still wishing, waiting or hoping then executive coaching is for you. Samuel Day (the MD of Happening People) and his team are available for one on one Executive Coaching to people outside of existing clients. Part consultant, part motivator, part change agent part sounding board and mentor, executive coaching with a Happening People Executive Coach will see you with better results so that you are more effevtive, efficient, happy, confident and secure in your professional future. You will be offered a Happening People Executive Coach to meet your needs and personal style. Sam Day will talk personally with you about this and match you with the best Executive Coach for you needs. • One free introduction session to understand your environment, Key Measures and business needs. • Plus four hours of executive coaching over 3-4 sessions. 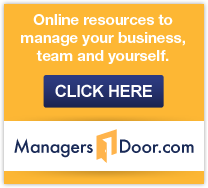 • With full access to thousands of online managers resources. • Four hours of executive coaching over 3-4 sessions. • 360 degree leadership assessment and feedback from team members included. • 4 x 1 hour sessions. Since 1989, Tina has worked as an executive coach, career coach, consultant and facilitator working with a variety of organisations, both large and small in the corporate, public and not for profit sectors to assist them to achieve outstanding results. Her approach to one-on-one executive coaching is targeted at assisting you to generate your own solutions. Tina successfully coaches individuals in areas such as, leadership & management development, effective interpersonal skills, dealing with difficult situations, communicating more effectively and precisely, increasing motivation, achieving goals and improving problem solving and decision-making abilities. Tina will positively impact employee morale, productivity, collaboration and creativity and the organisational bottom line results. She also challenges people in a way that helps them dig deeper into themselves to draw on inner resources that they may not have previously acknowledged. Drawing on her diverse background in the social and behavioural sciences, will help you to focus on and expand your strengths, using a mix of positive psychology and the best of Cognitive Behavioural Therapy (CBT) and a solution focused approach. This will help you to increase your self awareness and allow you to transform and realise your full potential. Tina holds a B.Sc. (Hons) in Sociology from London University and a Postgraduate Diploma in Social Sciences, majoring in Psychology, Counselling and Education (UNE, Armidale). She is also accredited in the Human Synergistics’ development tools, the Life Styles Inventory, the Group Styles Inventory, the Leadership Impact Instrument and the AMA DISC Model.